Setting up of a cantonment area at Solan. Establishment of a brewery on account of availability of excellent mineral water in the year 1855. Shifting of the headquarters of Baghat State from Bhoch to Solan. Start of Kalka-Shimla rail line in 1902. The Urban local body i.e. M.C. Solan came into existence around 1950. Chail is very famous place of Himachal Pradesh. 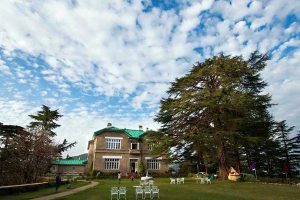 The Chail Palace is well known for its architecture, the palace was built as summer retreat by theMaharaja of Patiala during the British Raj. 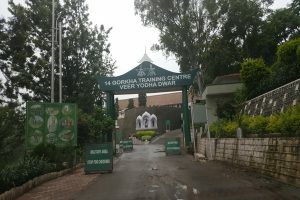 Chail is connected with Solan as well as with Shimla District Headquarter. It is 49 kms from Shimla and 38 Kms from solan. There are places to visit Chail are The Palace Chail, Cricket Ground, Kali Tibba and Hanuman Temple. This small hill station seems to live in time warp that belongs to the 19th century. The narrow roads of Kasauli (1951m) slither up and down the hillside and offer some magnificent vistas. Directly below is the spread of vast plains of Punjab and Haryana which as darkness falls, unroll a gorgeous carpet of twinkling lights. 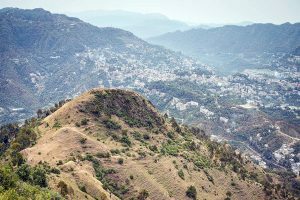 Places to visit in Kasauli are The Monkey Point,Baba Balak Nath Temple, Shirdi Sai Baba Temple,Chirst and Baptist church and Lawrence School. 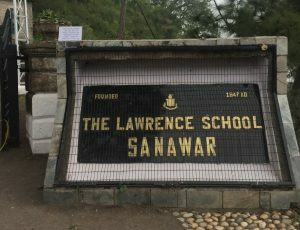 The Lawrence School – Sanawar, established in 1847, situated at a height of 1750 metres and spread over an area of 139 acres, heavily forested with pine, deodar and other conifer trees, is the fruit of the vision of Sir Henry Lawrence, and his wife Lady Honoria. Sanawar is a co-educational boarding school, affiliated to CBSE and has students of varying backgrounds from different parts of the sub-continent and aborad. It provides an environment that encourages a questioning mind and gives students many avenues for expressing their creativity and building their skills. 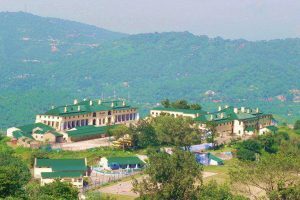 Dagshai Cantonment is situated on Kalka-Shimla Highway (National Highway-22) of the overage height of 6078 feet. Dagshai Cantonment was Founded in 1847 by securing five of cost from Maharaja of Patiala. There is no. authenticated record available, regarding the origin of its name. According to one legend the name was derived form the Urdu phrase “DAAG-E-SHAHI”, which connote the Royal Brand/Stamp. The prisoners were branded during the Moghul times sent to Dagshai Villages in 1849 a jail was constructed known as Central Jail. Cantonment Board, Dagshai is a statutory body constituted under the Cantonments Act, 2006. 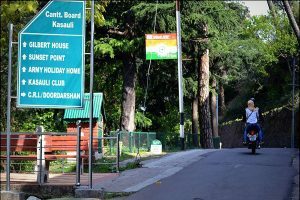 Kasauli cantonment was established in the year 1850 Cantonment Board, Kasauli is a statutory body constituted under the Cantonments Act, 2006. The emergence of the Cantonment Board as a municipal body in cantonments was basically in response to the need for maintenance of proper sanitation, health and hygiene in these areas. The scope of the Cantonment Board functions extends to the entire gamut of municipal administration. 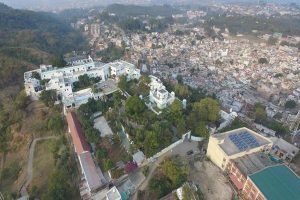 In addition to provide basic amenities, Cantonment Board, Kasauli also manages public welfare institutions and facilities to the residents of the cantonment area. Jatoli Temple is very famous Shiv temple in Solan. Its 8 Kms form Solan on Rajgarh road. 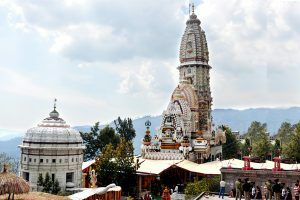 This temple is one of the Oldest and religious temple of the Solan district. In this temple there a statue of Lord Shiva are placed and also Shiv Ling are placed. This is the Asia’s highest temple of Lord Shiva’s. 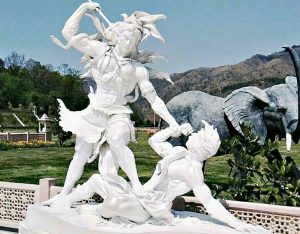 Mohan Shakti Heritage Park is an upcoming heritage park aimed at studying the Vedic Sciences and educate the younger generation about the findings of the Vedas and ancient Indian Culture. National Heritage Park is located at Shakti Sthal on NH 22 between Kalka and Shimla. One has to take diversion from Salogara to Ashwini Khud at Shakti Sthal. 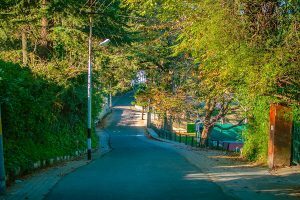 The park is located at the ‘Hart Village’ , 7 kilometers from the Shimla-Kalka National Highway. Arki was the capital of the princely hill state of Baghal, which was founded by Rana Ajai Dev, a Panwar Rajput. The state was founded around 1643 and Arki was declared its capital by Rana Sabha Chand in 1650. The Arki Fort is a converted hotel and lovely to visit.The Arki Fort was built between 1800 and 1805 by Rana Prithvi Singh, a descendent of Sabha Chand. The fort was captured by the Gurkhas in 1806.Arki is 50kms from Solan and 43 kms from Shimla HQ. Nalagarh is a gateway to Himachal Pradesh in North India,78 km from Solan and 60 km from Chandigarh. 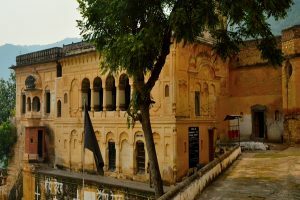 The Fort which was built in 1421 during the reign of Raja Bikram Chand is located on a hillock at the foothills of the mighty Himalayas affording a panoramic view of the Shivalik hills beyond the Sirsa river. Fort Nalagarh surrounded by endless acres of greenery, with all modern amenities is an ideal retreat away from the madding crowd of metropolitan cities.